The Standing Stone: Bullaun Stone, Clonmacnoise, Co. Offaly. Bullaun Stone, Clonmacnoise, Co. Offaly. Location – Between the main complex and the Nun’s church. Description and History – I’ve been to Clonmacnoise many times and I’ve always failed to see this bullaun stone. I knew roughly where it was but it always eluded me. 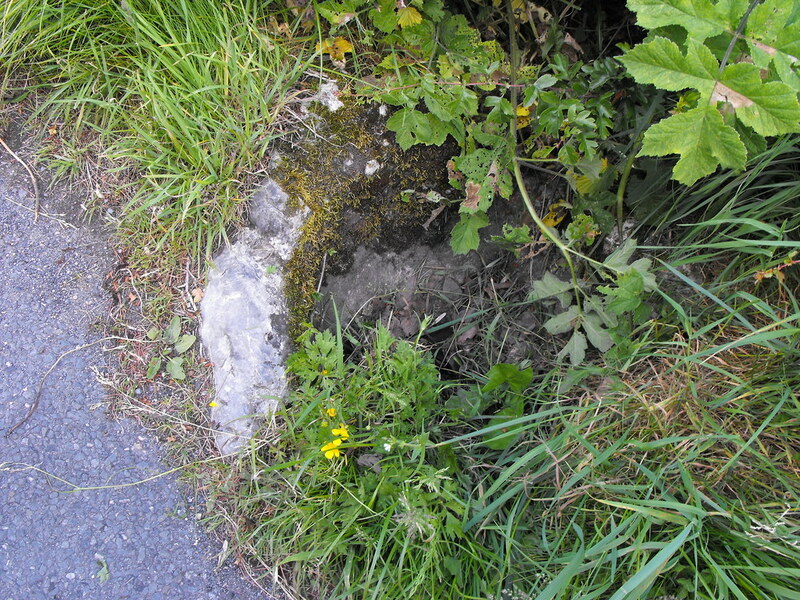 I revisited determined to find it and finally saw it poking out from the hedgerow. It sits right next to the road and on the same level and has been probably driven over dozens of times as traffic meets each other on this quiet country road. It is severely overgrown and I could only see one of the two depressions in the stone. This looks like it is a nice stone but its location and condition makes it difficult to appreciate. This stone should be removed to the visitors centre or the main complex. Maybe the Nun’s church is a fitting place for this stone. Something so steeped in history should not be left to be driven over on the side of the road. Difficulty – Hard to enough to spot when it is overgrown. It took me a few attempts.